This is a little game I done for Ludum Dare. The theme was game all in one screen. 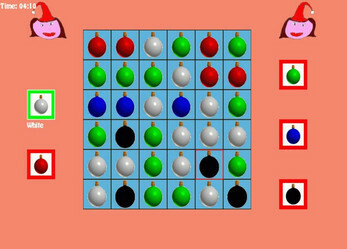 The object of the game is to fill the board with just one colour of Christmas Bell. Choose the colour you want by right clicking on the buttons on the side. Just mouse over the bells you don't want and right click them to destroy them. You only have 4 minutes to fill the board or the room resets and you have to start over. 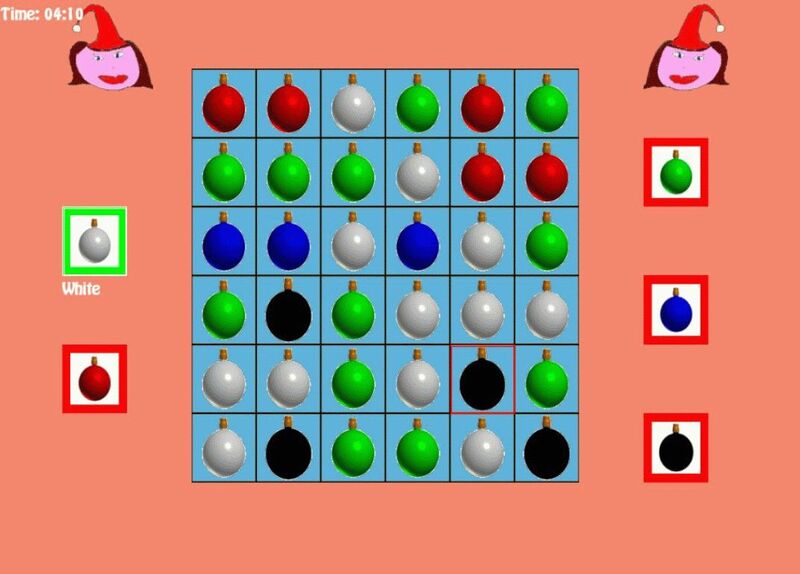 When the board is full a Christmas message will appear at the bottom depending on the colour you choose. Keys - Esc -Quit Game , Enter - Reset Board, Right Click Mouse - Destroy Bells.